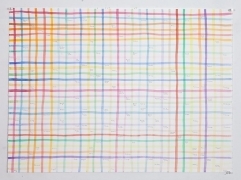 SPENCER FINCH 斯宾塞•芬奇 Study for Garden of Eden I 伊甸园习作 I, 2011 Watercolor and pencil on paper 纸上铅笔与水彩 22 x 30 in. 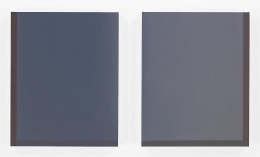 James Cohan Gallery Shanghai is pleased to present DAY AND NIGHT, an exhibition of workswith Spencer Finch and paintings by Byron Kim. The exhibition opens on Saturday, November 9th and runs through Tuesday, December 31st, 2013. This is the first exhibition of works by these New York-based artists in Shanghai. The exhibition DAY AND NIGHT brings together two artists from the gallery’s program who share deep, investigative interests in the phenomenon of color, light, and perceptual experience. For more than twenty years, Spencer Finch’s works have addressed the desire to frame our experiences of the natural and urban world. 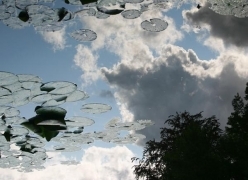 In site-specific installations, drawings, photographs, and sculpture, Finch combines a scientific approach, using precise calibrations and calculations, with a nuanced sense of poetic exploration of nature, the passage of time, and the endless powers of observation. On view in will be a selection of works, including Winter Light, Paris—Dusk, 2013 from the artist’s ongoing series of light boxes that recreate the color of light in a designated place at a specific time of day. 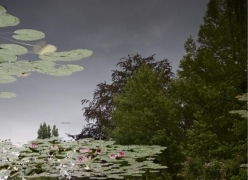 Also on view are Finch’s dislocating digital color photographs Optical Studies where Finch photographed the reflections of the surrounding trees and sky in the glassy waters of the lily ponds at Giverny that inspired Monet’s famous works. 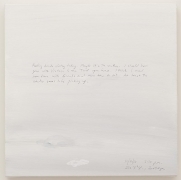 “There is always a paradox inherent in vision, an impossible desire to see yourself seeing,” Finch has said. 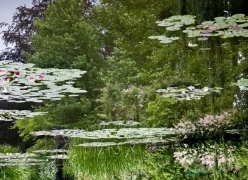 “A lot of my work probes this tension; to want to see, but not being able to.” Finch observes, documents, and studies with scientific precision (often using a colorimeter) the color and light effects of specific locations, much in the manner of Impressionist painter Claude Monet, whom he considers a major influence on his work. In a recent and ongoing series of works, Byron Kim paints night in the city, capturing the quality of light and transition from dusk to total darkness. In Kim’s City Nights series he depicts a state of constant suspension that city dwellers experience. Like the artists he admires—Ad Reinhardt, Mark Rothko and Agnes Martin—Kim works in area one might call the abstract sublime. 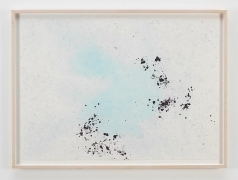 His works position themselves at the threshold between abstraction and representation, between conceptualism and pure painting, and whose underlying ideas often stem from politics to environmentalism to cultural identity. 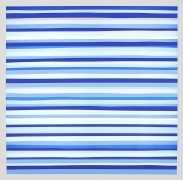 In his richly hued, minimalist works, Kim seeks to push the edges of what we understand as abstract painting, but on closer investigation and contemplation the night paintings reveal a charged spatial dimension, a kind of cerebral en plein-air that evoke a deep and calming sense of emptiness. These paintings, sometimes presented as single works, diptychs or triptychs, often have hard-edged, painted borders on two or three sides that act as architectural references suggesting windows or slight facades of buildings that frame our views of the city sky at night. 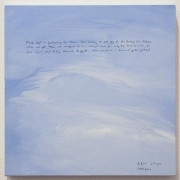 Also on view are Kim’s Sunday Paintings, a series the artist has made nearly every Sunday since 2001. 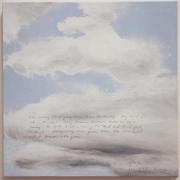 These relatively smaller canvases of sky-colored fields, some rendering full billowy or wispy cloud formations, also serve as brief chronicles or diary entries written across the individual canvases, something notating the artist’s inner thoughts about the making of his work, or the banality of running errands or doing chores during everyday life. 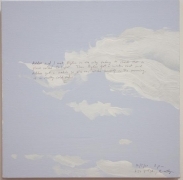 The series was inspired by Kim's chance encounter with the writings of Chuang Tze, an early Daoist philosopher, who wrote about the relationship of the infinite to the infinitesimal. 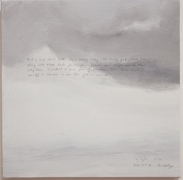 Kim translates this notion into a comparison between the vast sky and his weekly ritual as both a record and tribute to our days and to life itself. Spencer Finch was born in New Haven, Connecticut, in 1962. 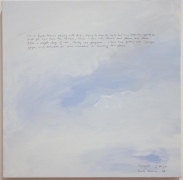 Recent solo exhibitions and commissions include: Following Nature, Indianapolis Museum of Art, Indianapolis, IN (2013); Painting Air, Rhode Island School of Design Museum of Art, Providence, RI (2012); Lunar, The Art Institute of Chicago, Chicago, Rome, Museum of Contemporary Art San Diego, La Jolla, CA, Between the light - and me, Emily Dickinson Museum, Amherst, MA (2011); My Business, With the Cloud, Corcoran Gallery of Art, Washington, DC, Evening Star, Pallant House, Chichester, UK, Between The Moon and The Sea, Frac des Pays de la Loire, Carquefou, France (2010); As if the sea should part and show a further sea, Queensland Gallery of Modern Art, Brisbane, Australia (2009). He has taken part in numerous group exhibitions, including Light and Landscape, Storm King Art Center, Mountainville, New York, NEON, La material luminosa dell'arte, MACRO, Rome (2012); More Light, Museum De Fundatie, Zwolle (2011); Haunted: Contemporary Photography/Video/Performance, Solomon R. Guggenheim Museum, New York (2010); Making Worlds: 53rd International Art Exhibition, La Biennale di Venezia (2009); 50 Moons of Saturn, Turin Triennial (2008); Refract, Reflect, Project: Light Work from the Collection, Hirshhorn Museum, Washington D.C. (2007); Light Art from Artificial Light, ZKM Karlsruhe and Colour After Klein, Barbican Art Gallery, London (2005). Finch lives and works in Brooklyn, New York. Byron Kim, born in 1961, is a Senior Critic at Yale University. 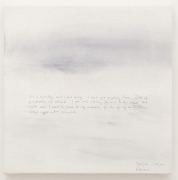 Kim’s signature work Synecdoche started in 1991 and exhibited in the Whitney Biennial in 1993, is in the permanent collection of the National Gallery in Washington, DC. This ongoing series consists of a grid of hundreds of small panels that each match to color of a person’s skin. It is both a portrait of people in the artist’s life and an exploration of race and community. 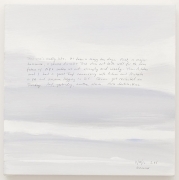 Kim’s mid-career survey, “Threshold” traveled widely from the Berkeley Art Museum, CA to the Samsung Museum of Modern Art in Seoul and on to five other locations in the United States (2006/7). Kim was included in the landmark exhibition “Color Chart: Reinventing Color, 1950 to Today,” at the Museum of Modern Art, NY and Tate Liverpool, UK (2008/9). 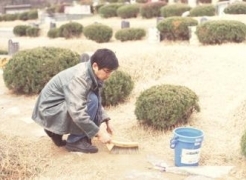 Kim participated in many other international exhibitions including the 7th and 3rd Gwangju Biennale, Korea in 2000 and 2008. 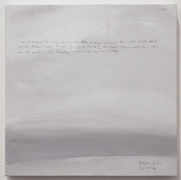 In addition to the National Gallery of Art’s collection, Kim’s work is included in the collections of the Albright-Knox Art Gallery, Buffalo, NY; Art Institute of Chicago, IL; Brooklyn Museum, NY; Hirshhorn Museum, Washington D.C.; Norton Family Collection, CA; Wadsworth Atheneum, CT; Walker Art Center, MN; and Whitney Museum, NY among others. 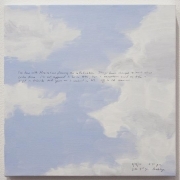 His Sunday Paintings series were on view at the Brooklyn Museum in the exhibition “Unfolding Tales: Selections from the Contemporary Collection.” In 2012, his work was included in “Time-Lapse” at SITE Santa Fe an exhibition curated by Irene Hoffman.